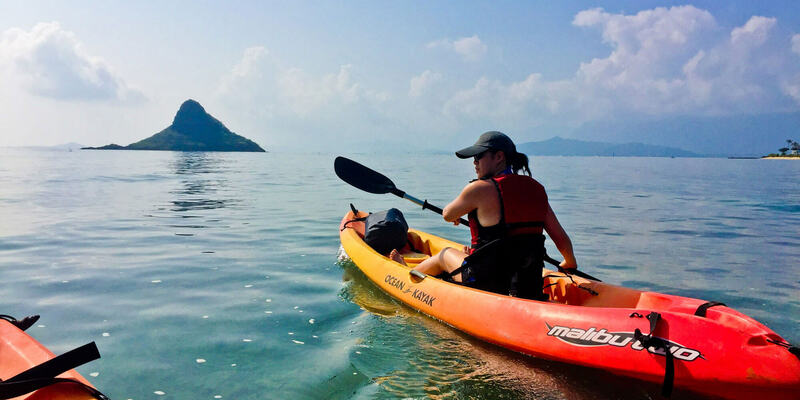 Choose us when you are looking for Chinaman’s Hat kayak rentals. 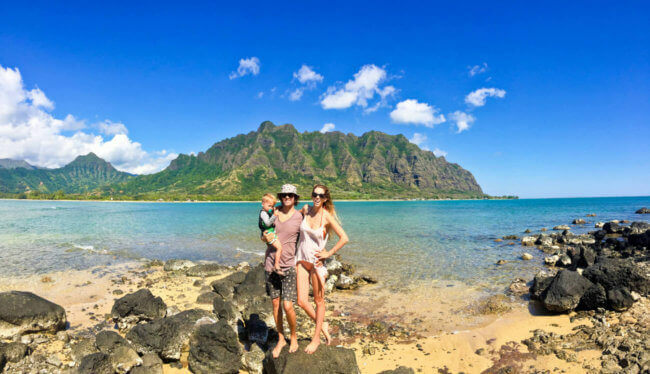 Experience the beauty of Oahu’s windward coast and one of it’s signature islets, Mokolii, from the water and from it’s peak. 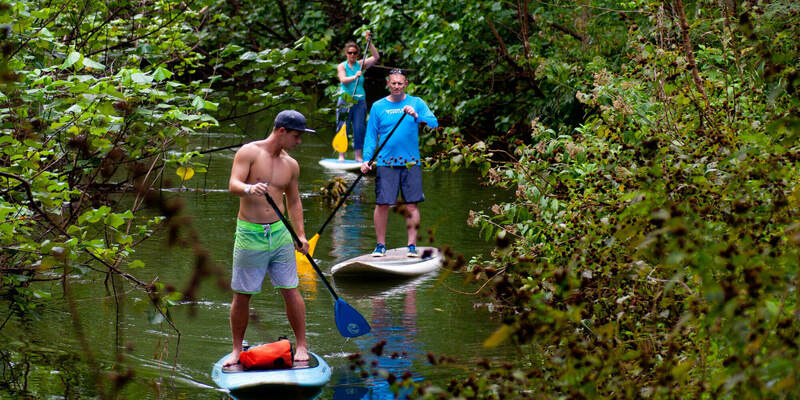 It’s a true one of a kind Oahu adventure. 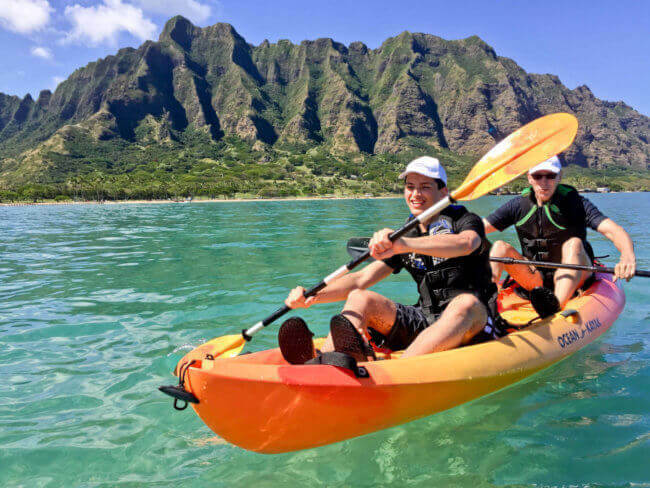 We will help you experience the whole package with our Oahu kayak rental delivery services. 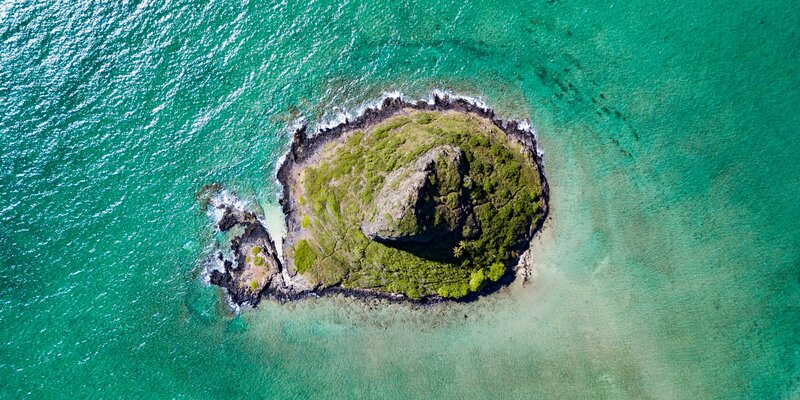 Kayaking to Chinaman’s hat is accessible. 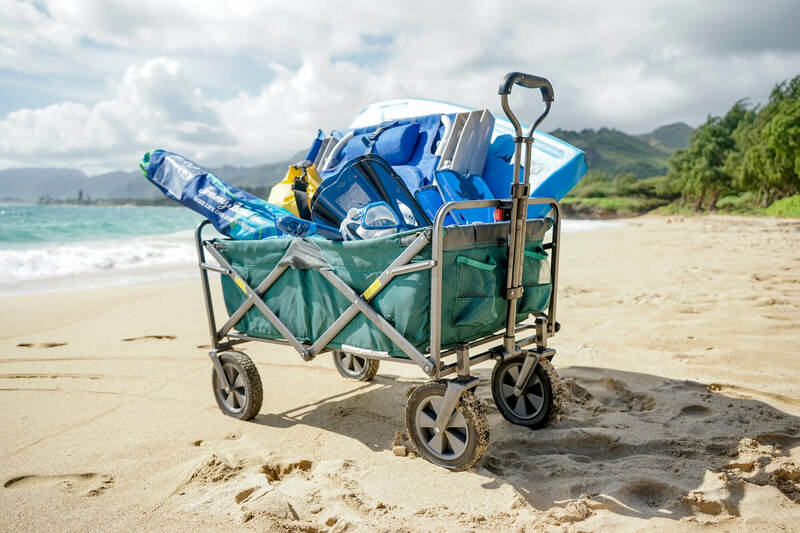 We can drop off the kayaks right to Kualoa Regional Park or a similar beach across from Kualoa Ranch and you can paddle from there. 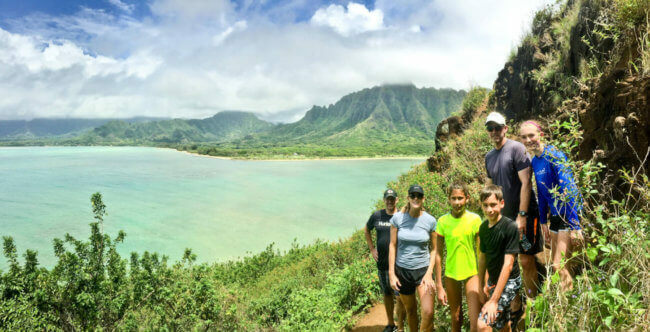 Kayaking and Hiking Chinaman’s hat is challenging (but not too challenging). Only about a 20 minute paddle to get to the islet and a 2 to 4 hour round trip total. The views from Chianamn’s Hat are epic. It’s no wonder that so many movies are filmed along this coastline. It’s amazing! You’ve just got to experience it for yourself. 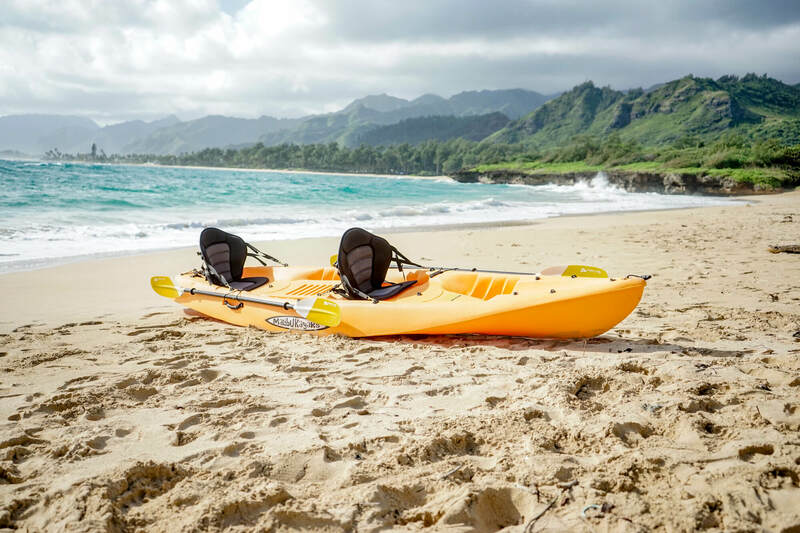 With our Chinaman’s Hat kayaks and rental delivery services, you can explore one of Oahu’s signature landmarks and film set to numerous movies such as Jurassic park and 50 First Dates. 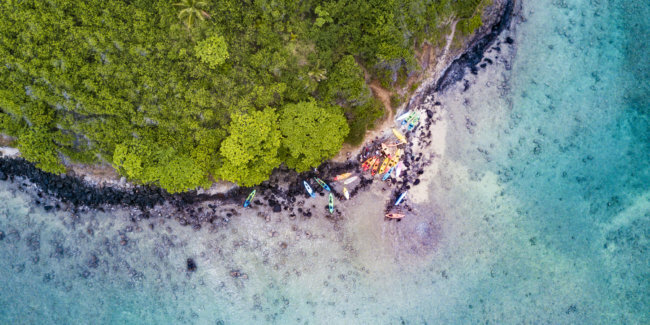 You’ll paddle across the crystal clear waters and glimpse some of the offshore reef and maybe a sea turtle or two along the way while paddling in your ocean kayak to Chinaman’s Hat. 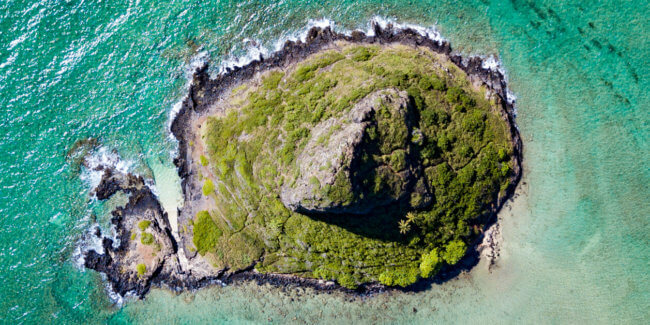 Chinaman’s Hat on Earth Day. Pretty much the most popular time to go. Usually there is no one here. 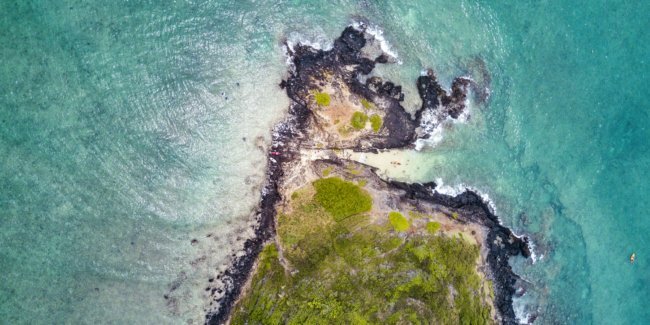 Once there you’ll land on a sandy inlet and get ready to check out the offshore islet. There are trails around the circumference as well as several paths that head straight to the top. Top View of Mokolii from my friend who has an amazing pigeon that will carry his GoPro around and take amazing videos. 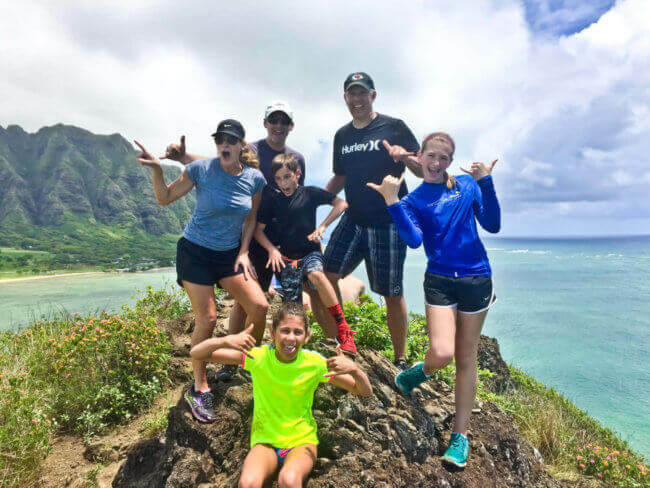 Hiking around Chinaman’s hat is much easier than going straight to the top, but each has plenty of rocks and will require you to put on some athletic shoes. 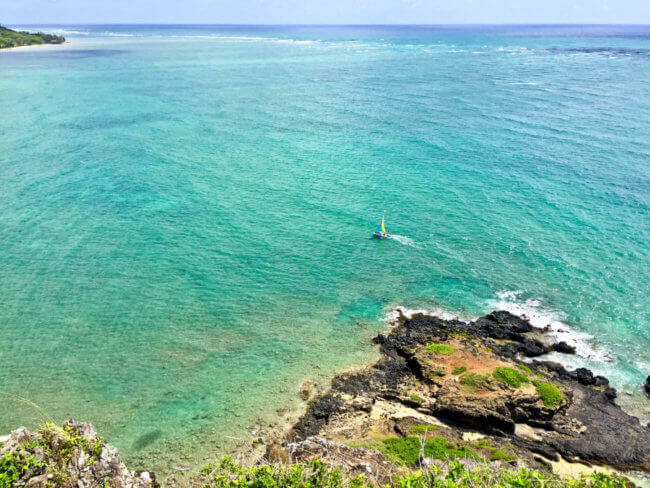 The back side of Mokolii has some tide pools and a nice mini inlet where you can sometimes land your kayak, but only on super calm glassy days. Ocean kayaking Chinaman’s hat can be dangerous if you paddle around the back side of Chinaman’s Hat or try to circumnavigate it. There is a channel on the far side of the islet that has a current that can be dangerous. Consequently, you might end up in Tahiti or something if you take it all the way. Stay between the islet and the coastline and you will be fine. also, do not drink alcohol and kayak. bodies of water and alcohol are not a good combo. 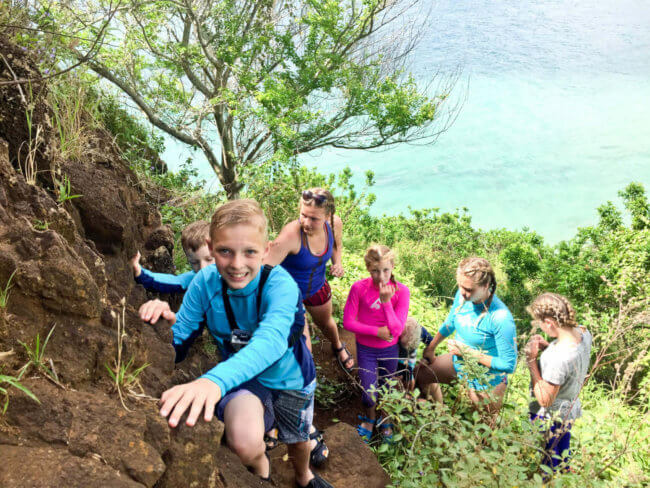 Hiking up the islet is also dangerous. So, be responsible, watch your footing, hold on tight and be safe. You can’t really have an adventure without some sort of danger (That’s why we have you sign liability waivers before using any of our equipment). The trail up to the top of Mokolii is steep, but not too long, rocky and sometimes slippery but plenty doable if you are looking for great views of the windward coast. 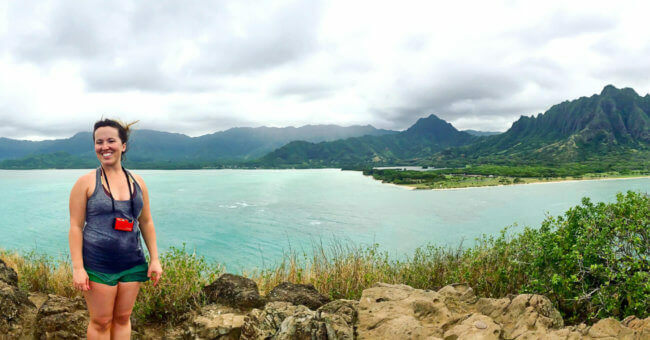 You don’t have to hike all the way to the top to get great views from Chinaman’s Hat. You’re not even at the top and you can still get a great view. Or if everyone is adventurous, invite the whole family! Now that you’ve seen it all, experience it for yourself! It’s a trip you can do over and over and never lose interest. Views that awe, experiences that inspire. It doesn’t get much better than this. 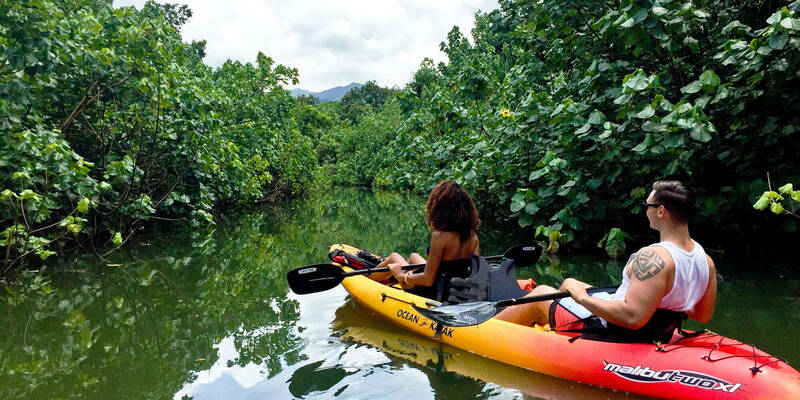 We’ve got the best Chinaman’s Hat Kayak Rentals around, so give us a call at (808)498-1894 or book online and have an adventure!